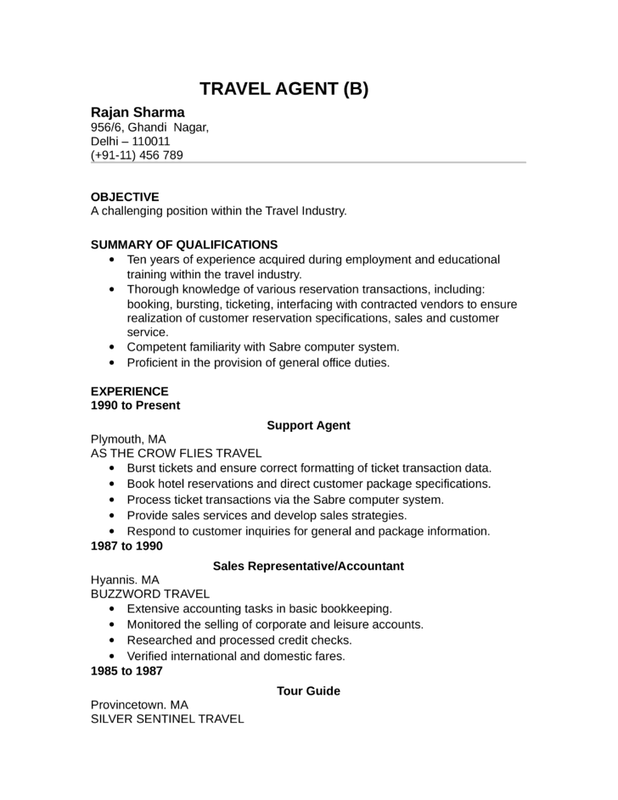 A challenging position within the Travel Industry. training within the travel industry.  Competent familiarity with Sabre computer system.  Proficient in the provision of general office duties.  Burst tickets and ensure correct formatting of ticket transaction data.  Book hotel reservations and direct customer package specifications.  Process ticket transactions via the Sabre computer system.  Provide sales services and develop sales strategies.  Respond to customer inquiries for general and package information.  Extensive accounting tasks in basic bookkeeping.  Monitored the selling of corporate and leisure accounts.  Researched and processed credit checks.  Verified international and domestic fares.